In this issue of our newsletter, we are profiling two of the many student assistants who help make the Middlebury Libraries run smoothly. Both are student-athletes who work at the Davis Family Library circulation desk. Casey O’Neill is just concluding her first year at Middlebury, while senior Nicolette Amber is finishing her undergraduate career. This has been a rewarding 1st year for Burlington, Vermont native Casey O’Neill. She is winding up her spring semester with an exam and essay schedule, crowned by a NESCAC Lacrosse Championship win over Trinity last weekend, 10-7. As a result, the Panthers are move on to the NCAA tournament. Born into a musical family — her father studied trombone at New England Conservatory, and her mom is a singer who also plays several instruments — Casey took up the alto saxophone, which she keeps close at hand in the MCFA. Casey started playing lacrosse in middle school, and quickly became hooked. Lacrosse was a important factor in her choice of college, and she considered Colby and other liberal arts NESCAC schools in addition to Middlebury. However, in the end Middlebury won out. Its rural setting, competitive academic culture, and a meeting with the women’s lacrosse coach Kate Livesay clinched the deal. Those factors convinced her that this was a place where she could learn, play, and grow, and she has not been disappointed. Her lacrosse responsibilities include two-hour training sessions daily, with additional travel time for mid-week, Saturday, or Sunday games. In all, Casey has only one day a week when her schedule is lacrosse-free. This summer, Casey will coach lacrosse at two area summer camps (at UVM and St. Michael’s College), and looking forward to sharing her skills and enthusiasm for the sport. For her major, Casey is strongly considering geography, although she has not yet made a final decision. And since starting work in the Library this year, she has been a strong presence at the circulation desk. Circulation desk jobs are by nature somewhat social, and this provides her with a sense of continuity between her classes and lacrosse obligations. She enjoys working in the library, and studies here often. We feel fortunate to have Casey with us for the next few years! Senior Nicolette Amber is an accomplished cross-country skier, and captain of the Middlebury Cross Country Women’s Ski Team. Like all gifted athletes, she earned her accomplishments through determination, hard physical work, and a strong competitive streak. 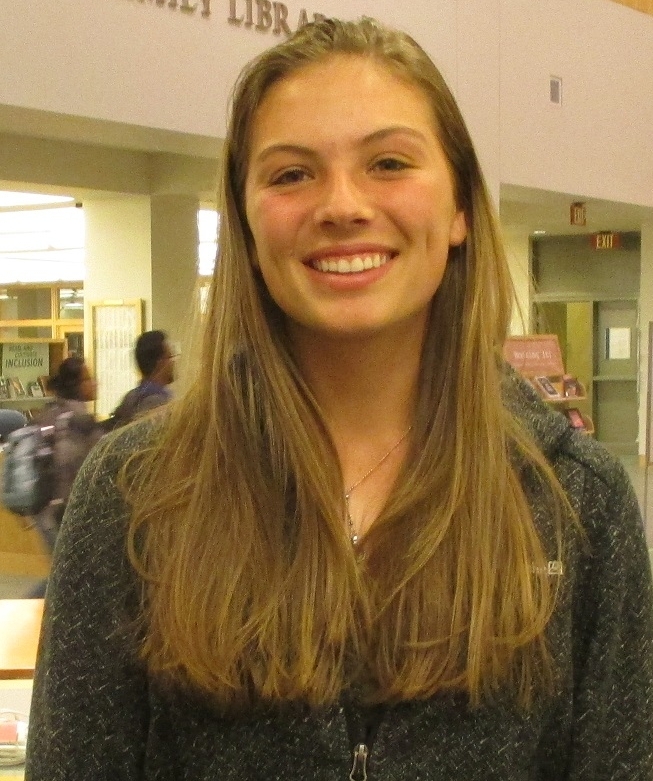 Since her middle school years, Nicolette has excelled in both her sport and her studies. Nicolette is from central Wisconsin, in the Chain of Lakes, where her family has resided for generations. As a 7th grader in the town of Lake Nebagamon, she was impressed by a ski coach who had skied at Middlebury, and his stories about this area fueled her passion for the sport. 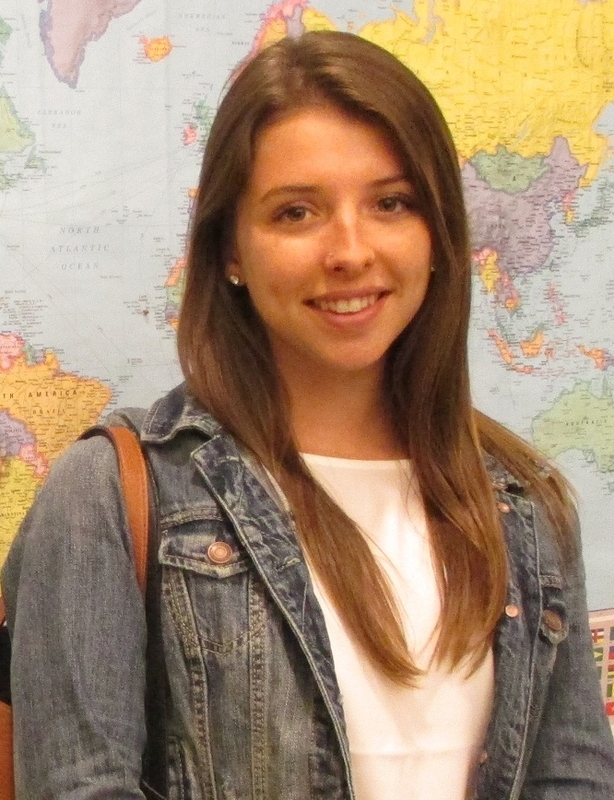 As high school graduation approached, Nicolette was recruited by Middlebury and Dartmouth. She also looked into intense “ski colleges” such as the University of Boulder, Colorado, but ultimately decided to attend a school that also offered an active social life and a tradition of academic excellence. As a cross-country skier at Middlebury, Nicolette and her teammates trained and competed 6 days a week from September to March, with long daily sessions of weight training and interval cardio. And although she loved skiing competitively in college, she knew early on she would not try to turn professional, and she did not want to be defined solely by her athletic skills. When she met new acquaintances, she often downplayed her skiing talent, choosing instead to focus on other aspects of her identity. Outside of skiing and academics, she enjoyed spending time in the 5th floor greenhouse in Bi-Hall, where she could take in a dose of greenery during the long Vermont winter. She also enjoys tackling the NY Times daily crossword puzzles, painting, and drawing. It seems only natural that Nicolette would be drawn to sociology for her major. Her study carrel was her “home away from home” this past year as she completed her senior thesis entitled Toeing the Line: Too Thin or Not Thin Enough? Complications in Female Cross Country Runners’ Narratives on Diet and Body Image. This past spring she also presented it at the annual Student Research Symposium. After graduation, Nicolette has accepted a position with KemperLesnik, a Chicago sports public relations and marketing agency. Her areas will include branding and fairness for female professionals in marketing, advertising, and performance. She hopes, however, to one day open her own sports agency focusing on women in sports. In this, and all her endeavors, the library wishes Nicolette the best of luck!